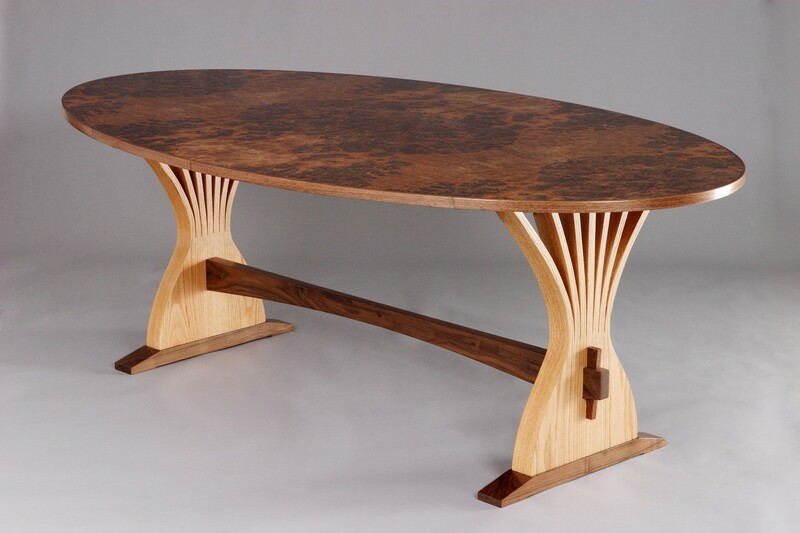 The Abanico Dining Table is a trestle style dining table held together with tenons and wedges. 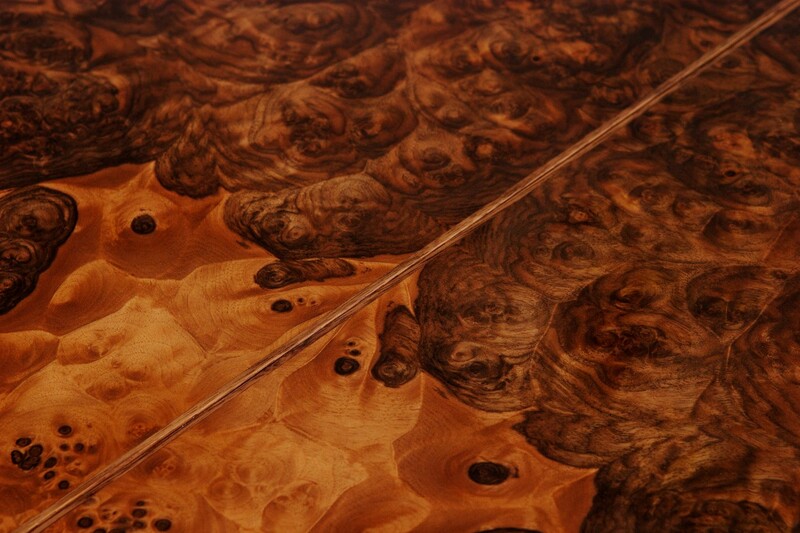 The two red oak end panels are cut part way through and steam bent into their organic tree form shapes. 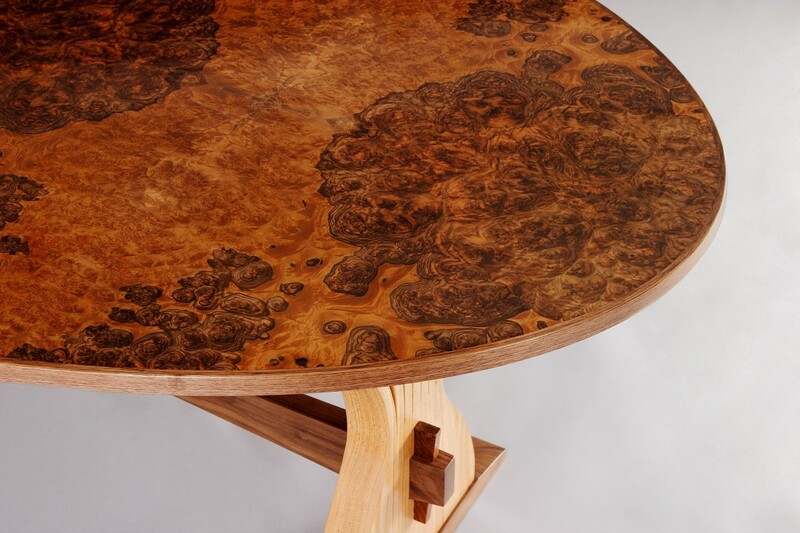 The oval table top is walnut burl with a solid edging and can be made as an expanding dining table with up to three 14″ leaves. 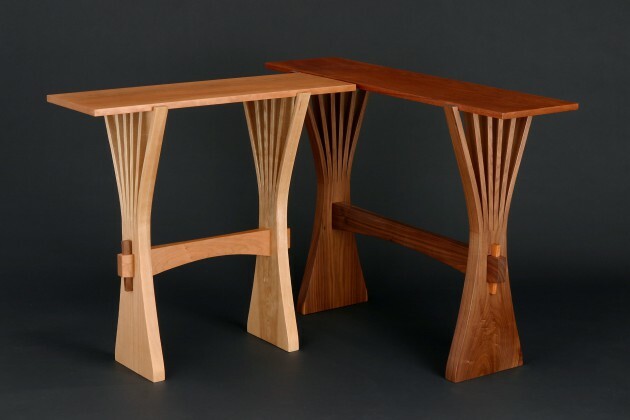 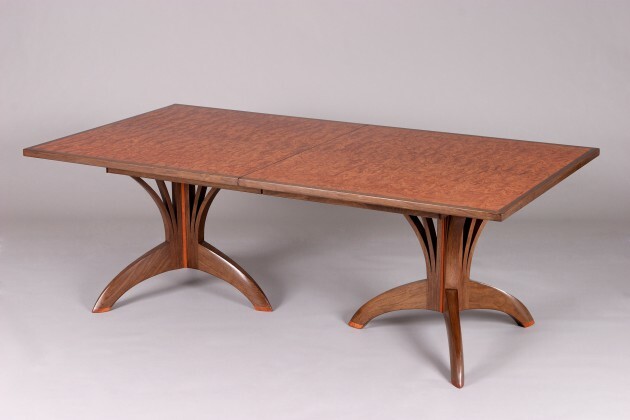 This design is also available in a hall table version as the Abanico Hall Table. 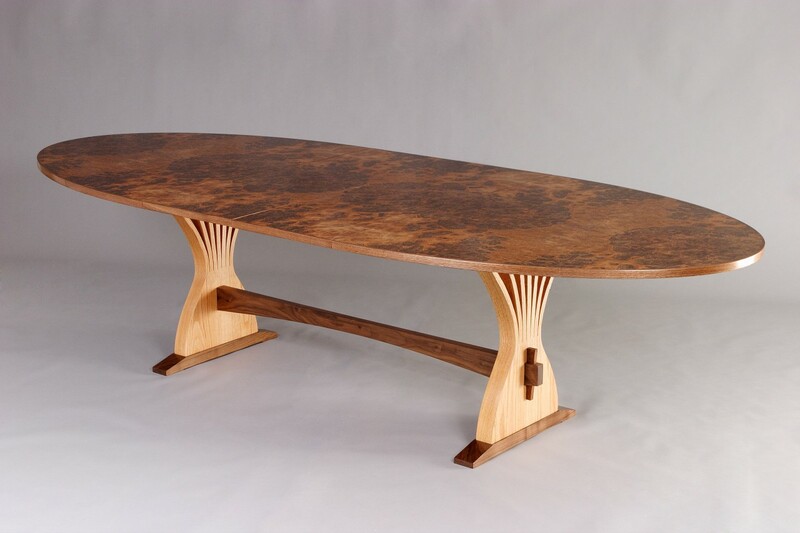 $12,800 with leaves to 138"